The Book of Mormon at prince of wales theatre london. Sensational London show The Book of Mormon is writing success saga at the magnificent Prince of Wales Theatre! The show has come directly after a super blockbuster season on Broadway. The show has already set and broken many box office records with prestigious 9 Tony awards such as Best Musical, Best Book, Best Score and Best Director. The immensely creative team of the hugely successful comedy South Park has written the show. The brand new musical is original and witty and received rave reviews from all across the globe. The Book of Mormon is one of the most anticipated shows of London Westend. The show made its debut at the Eugene O’Neill Theatre in the year 2010 and went on becoming one of the blockbuster London shows. The Book of Mormon is set in Salt Lake City, where two Mormon Elders have been sent to Uganda for some missionary duties. On their arrival in a small African village, they have to met some hostile reactions and challenging their beliefs. Both the boys have to struggle a lot to meet mission, friendship and relationship which leads to some of the rib tickling comic situations. The two hours and thirty minutes show is a complete treat to watch out for with mesmerizing musical numbers, amazing choreography. The spectacular London show, The Book of Mormon offers some of the finest performances by Gavin Creel and Jared Gertner as Elder Price and Elder Cunningham. Under the superb direction of Casey Nicholaw and Trey Parker, The Book of Mormon is certainly a must watch London show! 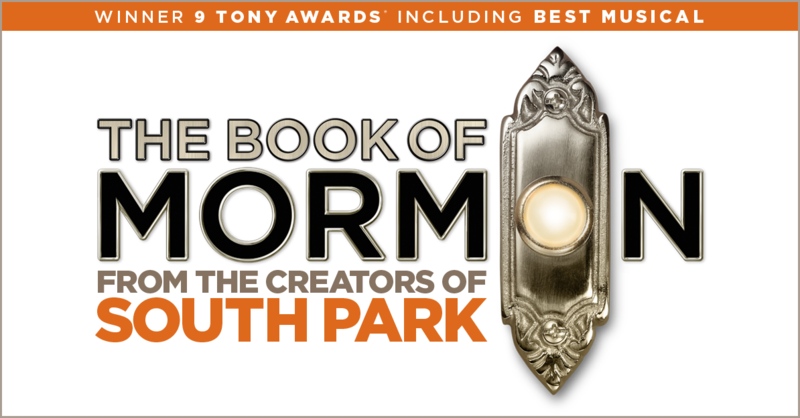 If you are a huge fan of South Park then The Book of Mormon is a must watch as it is satirical as well as comical. With its edgy script and chartbusting musical numbers, the show is certainly one of the hottest tickets in town. Due to incredibly bad language, and content, there are certain section of society which may get offended. The three hours long emotional and gripping drama is not recommended for children as there is often usage of offensive language and adult themes. The award winning show, 'The Book of Mormon' has come straight from the Broadway and has broken several box office records. The blockbuster show also went on winning impressive 9 Tony Awards such as Best Musical, Best Book, Best Score and Best Director. The creative team of long running blockbuster comedy ‘South Park’ Trey Parker and Matt Stone, along with Robert Lopez who is also the co-creator of cheeky hit musical Avenue Q have penned this brilliant show. The Book of Mormon is quite witty and shocking! In the year 2011, the show made its debut on Broadway at the Eugene O'Neill Theatre. The award winning show went on becoming a huge overnight success. The show went on earning rave reviews from all across the globe. It was followed by a sparkling US National Tour. The story of The Book of Mormon revolves around two Mormon Elders who have been sent to Uganda for some missionary duties. Their arrival on a small African village, leads to lots of hostility and challenges. The hilarious musical comedy is all about struggles in terms of mission, friendships and relationships. With brilliant score, along with a witty book and fantastic choreography, the show is a brilliant memorable production. The role of Elder Price and Elder Cunningham is portrayed by Gavin Creel and Jared Gertner. Under the superb production of Casey Nicholaw and Trey Parker, with Musical Direction by Stephen Oremus, The Book of Mormon is a must watch theatrical experience for all. Looking for an enjoyable night out in the city! Grab the tickets of one of the most loved and blockbuster London show of Theatreland, The Book of Mormon. The wonderful London show is a must watch for theatre lovers and South Park fans. 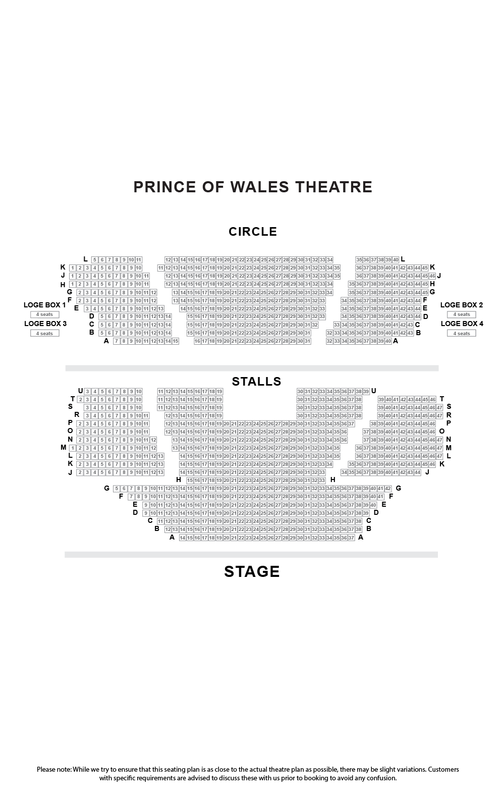 The show made its London Westend debut in the year 2013 at Prince of Wales theatre. The show went on becoming an instant sensation and enjoyed sold-out houses performances. The show also went on sweeping major awards during some of the prestigious theatrical award ceremonies. After running successfully on Broadway, the award winning London show, The Book of Mormon London is enjoying huge success since its London Westend debut. The popular London musical enjoyed successful Broadway run along with an LA production and US National Tour. In the year 2011, the show made its Broadway debut at Eugene O’Neill Theatre. The popular show is conceived by Trey Parker and Matt Stone the immensely talented duo of the hit TV series ‘South Park’ and along with Robert Lopez. All three collaborated as they shared huge interest in Mormonism and Joseph Smith, the founder of the Mormon Church lead. All these factors lead to the creation of The Book of Mormon. On 24th March 2011, The Book of Mormon made its Broadway debut after several extended workshops and previews. The outrageous satire musical is an edgy show featuring some controversial subjects such as organised religion to consumerism, the state of the economy and the musical theatre genre itself. Robert Lopez has already worked in some popular controversial musicals. He has also co-written the score and lyrics for the 2003 puppet musical Avenue Q. He has also penned for The Book of Mormon and the show went on winning prestigious Tony Award for Best New Musical and still running with packed houses. The Book of Mormon revolves around the story of two young Mormon missionaries who have been sent to a small town in Uganda. Currently, the Broadway production currently stars Gavin Creel and Christopher John O’Neil whereas the London production stars Nic Rouleau and Brian Sears as Elders Price and Cunningham respectively. The major highlight of the show is certainly outstanding performances by the cast members. With sizzling performances by the actors and superb orchestra, the show certainly grips the viewers tightly. The brilliantly directed satirical show has a few amazing funny moments and also some controversies to is credits as it has been directed against a specific religion followers and they are quite active. Few performances need to be mentioned such as Elder Price and Cunnigham. They are not stunning as Mormons only but also as human beings. Most of the time, the viewers laugh with them instead of laughing at them. The Book of Mormon is worth watching featuring chartbusting musical numbers. For some audience members, it might be indecently funny or may not like taking pot shots at some religious belief. However, the show is quite entertaining and worth watching for an enjoyable weekend with loved ones! Get ready for a memorable time with your near and dear ones with blockbuster and award winning London show The Book of Mormon at the Prince of Wales Theatre! The magnificent theatre is already running with packed houses. Brilliant amalgamation of great music and superb performances make the show a delightful experience for the theatre goers. With exciting meal deal packages, you would be able to have a quality time with your loved ones. 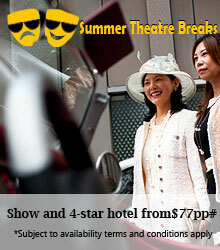 Moreover, these meal deal packages pre and post shows are available at discounted rates. Most of the restaurants are at a nearby distance from the theatre! This is one of the best venue for unwinding and relaxing with your dear ones. You would be able to eat, drink and party with your family and friends. Enjoy mouthwatering modern British cuisine in contemporary setting! The menu caters lip smacking food to relish your taste buds such as BBQ half rib racks and traditional beef burgers as well as fajitas and vegetable curries. Since 1979, the superb restaurant is known for offering some of the world class Porters Steak and Kidney Pudding along with the creamy Fisherman's Pie, the steamed syrup sponge and famous homemade ice creams and daily specials. Enjoy traditional English food at its best!